Are you saving to get some headset of virtual reality? Then it is likely that the moment you were waiting for has arrived. 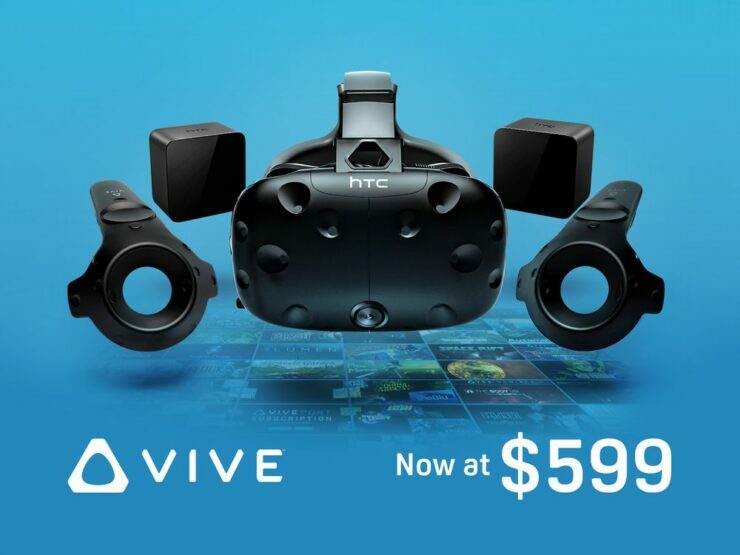 What we mean is that HTC has announced that the Vive is going to be $200 USD cheaper, which means that you can buy it in exchange for $599 USD. It is important to note that this is a permanent price reduction. This package will include the virtual reality headset, 2 motion controllers and 2 motion sensors mounted on the wall. That is, it is a package with which you can enjoy the virtual reality of house-room scale. Also, this package will include software so you can try out your new virtual reality device without having to incur additional expenses. So when you receive the HTC Vive you will also get codes to download Tilt Brush, Everest VR, and Richie’s Plank Experience. If this does not sound enough for you, you’ll be happy to know that it also includes a trial period for Viveport, a subscription service that gives you access to 5 games for HTC Vive every month. In a talk with Polygon, the president of Viveport, Rikard Steiber, ruled out this price change as a response to the temporary price reduction of the Oculus Rift. Instead, they see it as a way for their device to reach a larger market. What do you think of this decision? Do you think that with this price more people will decide to acquire the device of HTC and Valve? Let us know in the comments below.